I created a very special Song Ring recently in honour of the new book 'Across the Universe'. 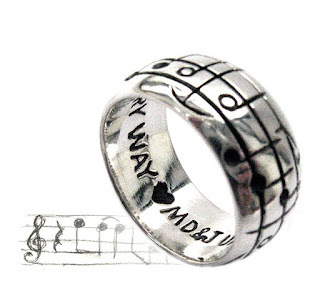 Beth Revis is the author and wanted to honour her achievement with a custom song ring. I've created a video showing how I created the ring. 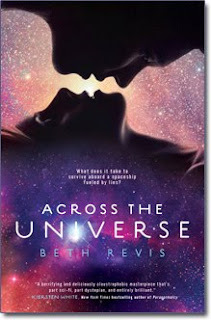 Beth Revis will be signing books January 3rd 2011, from 5-7pm at Fireside Books in Forest City, NC. Visit www.bethrevis.com for more details and be sure to pick up one of her books. Thank you so much for showing us your process! So beautiful!! I love the ring! glad to see you are rocking the jewelry making! and videos too! good little social networker you are! "yeah then i thought, yeah i could totally see myself doing that"
thats awesome!i especially like that necklace that has all the bracelets and earrings inside! good idea! just glad to see you are doing well! i am on the west coast loving the non winter. hopefully it will not load all funky on your browser. i have to fix that. but im not a web designer.theres only so much time in life. Your website is awesome. I want to try animation too! And I should make a website. I just use Etsy.